Cinema Room (room XIV), Palais des Nations, Building A, 1st Floor. 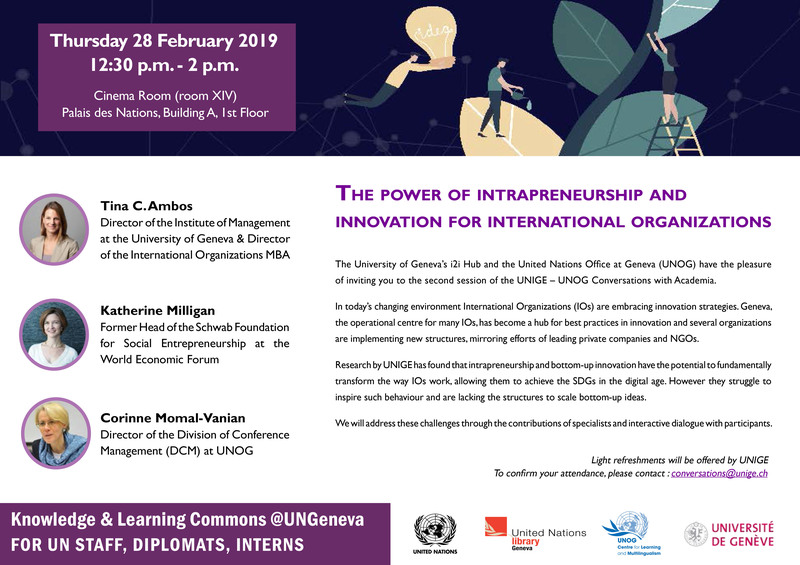 Research by UNIGE has found that intrapreneurship and bottom-up innovation have the potential to fundamentally transform the way IOs work, allowing them to achieve the SDGs in the digital age. However they struggle to inspire such behaviour and are lacking the structures to scale bottom-up ideas. We will address these challenges through the contributions of specialists and interactive dialogue with participants.